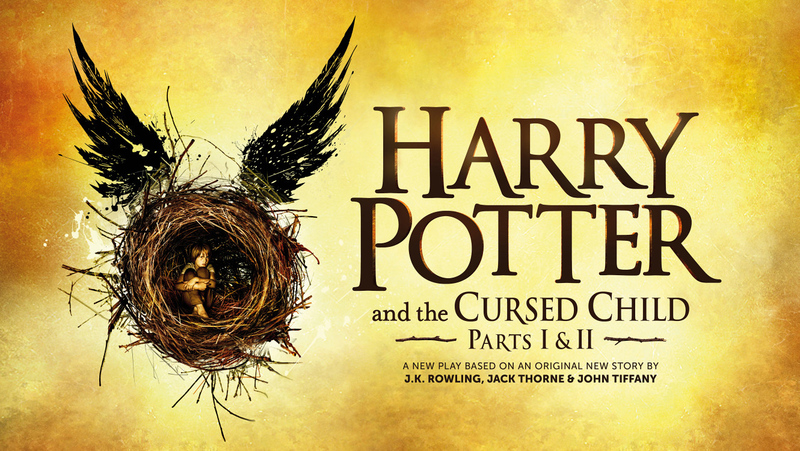 Is Harry Potter And The Cursed Child Coming To The Big Screen? Pottermania gripped the world again over the Summer, with the debut of stage play Harry Potter and The Cursed Child, and in an ingenious piece of marketing, the worldwide release of the script book on July 31st, the boy wizard’s birthday. With Fantastic Beasts and Where to Find Them on the horizon, it’s safe to say that the world’s appetite for J.K. Rowling’s creation is as strong as ever. Which is a very good thing indeed since Warner Bros. have dedicated an entire production dedicated to the Wizarding World of Harry Potter. Two more Fantastic Beasts movies will be coming our way in the coming years, but what else are they working on? Well, according to NY Daily News, the studio is focused on getting the five hour play, in the form of a trilogy (because of course), onto the big screen by 2020, incidentally the year Fantastic Beasts 3 is set for release. What’s more, they are intent on getting Daniel Radcliffe (and presumably Emma Waston and Rupert Grint) back for a story that revolves around the sons of Potter and Draco Malfoy getting into mischief in and around Hogwarts. While the NY Daily News isn’t the most reliable source for news, I think we all knew this would be happening sooner or later. Harry Potter is a huge cross media franchise, and not taking advantage of every opportunity would be a serious misstep for Warner Bros. But the timeline we’re presented here does’t make much sense. Why upstage what we’re led to believe is the finale of the Fantastic Beasts series with a new entry in the Potter saga? Also, in the Cursed Child, Harry and his pals are in their forties, while the actors are only entering their thirties in real life. Sure, movie magic could age them up a decade, but it didn’t really work that well in The Deathly Hallows Part 2, did it? Furthermore, would they even want to come back at this stage? The three main leads seem to be happy with what their doing at the moment, and diving back into that world for three more movies might not be the most appealing thing for them right now. Give a couple of more years, let the original cast age up, and have them pass the torch to a younger cast of actors, The Force Awakens style, seems like the best choice in my eyes. This movie will happen, make no doubt about it, but Warner Bros. may be better off sitting on it for a while, at least until the Fantastic Beasts movies have run their course. The Movie Bit: Is Harry Potter And The Cursed Child Coming To The Big Screen?